John Jordan, namesake of his father, Captain John Jordan, was born in Van Zandt County of Texas on January 18, 1847. John Jordan II was three years of age when his parents decided to journey to California on account of his mother's health. He was one out of 200 or more people who joined the John Jordan and Alney McGee wagon train in early 1850, taking the southern route to California. He just bounced, shimmied, shook, slept and played all the way to California, as the road on the trail was very rough in his family's big wagon schooner. The family finally settled in Monterey County near the San Juan Bautista Mission in the town of San Juan where they built a hotel and a store and their first home in California. John was too young to be of help. As the years went on, he grew more helpful. In the year of 1857, when his family journeyed to Visalia, Tulare County, he was ten years of age. He was strong enough to be much help in moving. He helped them to build their home ten miles east of Visalia. This was the last home of his parents. In the winter months, he went to school in the Hamilton School House. Years later it was called the Kaweah School. The family had to work hard to make a living, with everyone in the family pitching in to keep the farm together. After his father, Captain John Jordan, was drowned in 1862 during the trail building expedition across the Sierra Nevada Mountains, it was very trying times for his mother, Eliza Jane Sadorus Jordan, to hold her family and farm together. Along with the rest of his brothers, John worked hard on and off the farm and got all the schooling he could. The years went on and John Jordan II became of age and went on his own. He was an adventurer. He dreamed of making a fortune in the land business, buying and selling as well as trading. He was 27 years old when he married the ward of one of his business partners, John M. Jennings. Martha Jennings was just fourteen when this marriage was arranged. John and Martha were married on August 25, 1875, in Tulare County, California. She had inherited some money from her foster parents and with that John began his dealings for small parcels, ranches, a hotel in Madera, and finally, horses and mules to be used in the development of the great San Joaquin Valley. To that union, five children were raised and another died as a baby. They were Ina Gracia Jordan, born in Tulare County on December 20.,1876; Hugh Rosco Jordan, born in Tulare County on July 27, 1878: Ernest Earl Jordan, born on June 8, 1881, and died on January 13, 1886; Leta Clare Jordan, born in Tulare County on June 19, 1883; John Sadorus Jordan, born in Tulare County on December 2, 1891, and he died on his birthday. December 2, 1978; and Yale Harvard Jordan born in Tulare County in Visalia, on October 21, 1895. Yale died on June 30, 1964. Receipts show that John Jordan paid taxes for L. L. Pluich in the amount of $3.78 as a mortgage on the northwest quarter in Kern County on November 26, 1894. He also paid taxes in the town of Delano, Kern County, in the amount of $13.86 for the northeast quarter on the same day. On January 2, 1906, John Jordan, his son Hugh, J. P. Fitz and Andrew J. Fitz, filed claim for a quartz mine located in the mining district of Madera County on the banks of the San Joaquin River. The claim was known as the River-side Claim. They worked this mine off and on for several several years. Andrew Fitz married Ina and it was in that mining area that they were living when their children were small. In 1908, after the girls had married, the Jordan boys, John, Hugh and Yale were persuaded to file for homesteads on the west side of the San Joaquin Valley. Yale was too young, but John and his father filed for the 160 acres, as did Hugh. John was taken out of the 8th grade in the Madera School to live on the land and to prove up the homestead. He filed a mineral claim and then a homestead claim of 320 acres. 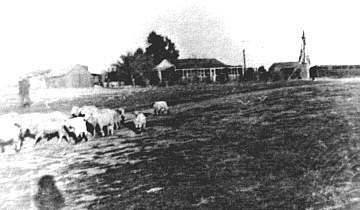 John Jordan II and Martha Ellen Jennings Jordan's ranch home, seventeen miles north of Coalinga, Fresno County, California, where they lived out their many years. Their ranch was known as "El Rancho Jordano." As soon as the Alto Hotel in Madera was sold in 1914, John Jordan moved to the west side with his wife Ellie. His son, Hugh Jordan, came to live on his homestead as a bachelor. Meanwhile, young John had met Hugh's daughter Marie McHaffie and the two were married for a short time. 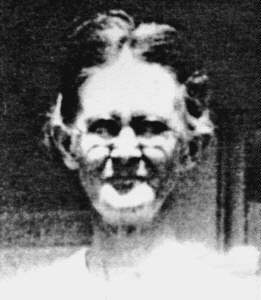 John then met Ruth Vance who had been brought from Michigan with her parents, John and Jenny Vance, to the Coalinga area. Vance had worked in the oil fields in Pennsylvania and he migrated to San Francisco to repair earthquake damage and to become a derrick builder or to do any other kind of work that was available. The family helped Ruth and her small child, Carol, get settled on their homestead which was adjacent to the John Jordan homestead. Ruth was cooking for a large ranch and oil shipping depot so young John courted her by horseback or at her homestead by doing odd jobs. They were married in 1919. They had only been married ten years when Ruth died as a result of childbirth. From that marriage, there were four children, but only three lived: Florine, Roberta and Marilyn Eugene died of pneumonia at the age of 18 months. Marilyn was adopted when Ruth died following the baby's delivery. Young John Jordan and his two girls and his stepdaughter, Carol, moved into the grandparents home adjacent to his own place. The grandparents continued to care for the entire family, young John providing the muscle to farm the land and to raise sheep for a living for the entire family. There was some moral support from the other sons, but it was John's responsibility to maintain the land and the family. John Jordan lived until the age of 90 and is buried in the family plot in Hanford Cemetery, Kings County. He died on September 19.,1937. Ellie preceded him in death by two years. She died on January 17, 1935. This history was compiled and furnished by: Roberta Jordan Mechalis, granddaughter of John Jordan II.